Apple's new 11 and 12.9-inch models are its thinnest yet, measuring in at just 5.9mm, and both forum complaints and a new bend test video suggest the two devices have the potential to bend without a huge amount of force. On the MacRumors forum, there have been a few complaints of bending from MacRumors readers. 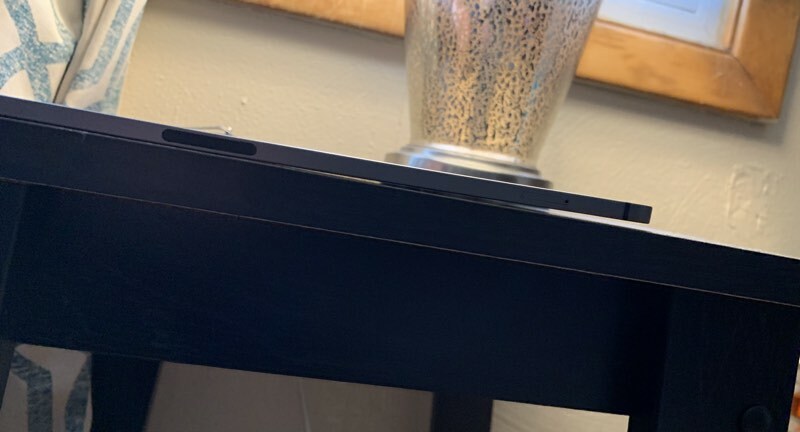 Forum member Bwrin1, for example, posted a photo of a bent 12.9-inch iPad Pro suggesting it had bent from just a weekend trip in a backpack. The iPad Pro in question does indeed appear to have a curve to it, refusing to lay flat on a table. At the same time, YouTuber JerryRigEverything has posted a bend test video of the new iPad Pro, which indicates it has the potential to bend with a limited amount of force. In the video, the iPad Pro snaps in half after what appears to be a moderate amount of pressure is applied to the device. Despite the video and the forum complaint, this does not appear to be a widespread issue. There are a couple of other complaints from MacRumors readers who were seeing slight curves in their devices and received replacements or sent the tablet back, but there aren't complaints that match the complaints we saw back in 2014 with the original iPhone 6 Plus bendgate. It's not clear if the new iPad Pro models are more or less bendable than previous devices, and bend tests are not reflective of real world usage conditions. All devices of this size will bend when enough force is applied, so it is no surprise to see the bend in the YouTube video. If the new iPad Pro models are bending from regular use, that could be a more significant issue, and we'll need to keep an eye out for additional reports of bending to determine whether there's a serious problem with Apple's newest tablet. After using Apple products for almost 30 years....I am done. They made the iPad Pro so damn thin that the camera lens protrudes pretty far out, and they couldn't even put an audio jack on it. This is the end result, an expensive toy that bends like a piece of cardboard. What's more, his scratch tests on the display and camera lens reveal that Apple isn't even using materials of a high enough quality to be commensurate with the price. When you bend things they bend. When you scratch things they scratch. Tbh, being able to snap an iPad in half with your bare hands is pretty shocking. It's 10x more hilarious every time someone says this. Especially because that's not even a real quote. My 10.5 is bent. Enough that it caused minor screen damage. Despite everyone saying to be more careful or otherwise trying to dismiss it, the reality is that these devices are too fragile. Something this expensive that is always in hand and meant to be carried around should be more rugged. Cases can offer some scratch and drop protection, but they'd have to be quite thick and heavy to add any rigidity. While the iPad itself could sacrifice only a little size and weight to gain a lot. I'd prefer that tradeoff even without the larger battery it'd allow.